LabX guides the users directly from the Melting Point instrument screen through defined SOPs (standard operating procedures) and saves the results automatically. 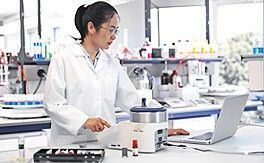 Expanded Functionality LabX helps to avoid testing errors by supporting the entire workflow, sending SOP instructions directly to the instrument. 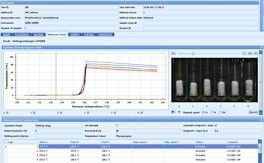 Calculations and documentation are completed automatically and results and melting point videos are securely stored in the LabX database. Results can be printed at any time in a personalized report. 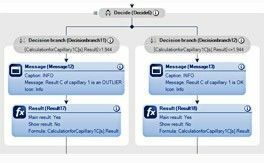 LabX offers some efficient test workflow supporting methods that are not available in the standalone instruments. Melting Point Screening How can the melting point of an unknown sample be tested efficiently? A LabX screening test method guides the user through the two-step procedure by displaying instructions directly on the instrument’s touch screen. In the first step the approximately determined melting point is used as a ‘learnt parameter’ for the accurate measurement in the second step. Interactive melting point At the instrument the user is requested to enter temperature values such as the heating rate and the expected melting point. The optimal start and end temperatures are calculated automatically. 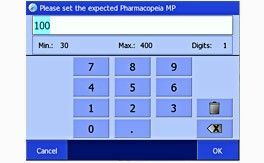 A multitude of different samples can be determined with this single method. The result and melting point video are always available for subsequent (visual) inspection. Mixed melting point 3 different samples, each prepared into 2 capillaries, are measured simultaneously. The mean of each sample pair is automatically calculated. This automated workflow is only supported by the MP90. This is a perfect example of how LabX supports efficient melting point testing. 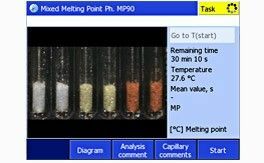 LabX enables rock solid melting point quality control by providing a comprehensive result overview and automatic result assessment. Optimized Result Overview Both melting point video and transmission curve are clearly presented. The melting point process can be reviewed by simultaneous playback of both transmission curve and video. In the graph a moving cursor indicates the current melting process status in real time. All measured data and the most important method data are displayed clearly in the table underneath. Result Outlier Check The melting point is usually determined from an average of multiple measurements. In order to identify outliers that may originate from improper capillary filling, a statistical check procedure, the Grubb’s outlier test, can be programmed in the method. This test provides an unambiguous assessment of the measurement with a clear recommendation, whether the test should be repeated or not. Repetition of Analysis If the measured melting point does not pass the test criteria the method sequence automatically prompts the operator to repeat the measurement. If the test does not pass the second time, the result is labeled accordingly and a message is displayed on the instrument. LabX even provides the option of sending this message via Email to the account of a responsible person in charge of quality control. 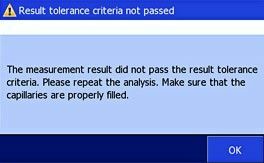 Automatic Result Assessment Result assessment is of paramount importance in a QC laboratory, e.g. in pharmaceutical ingredients testing. 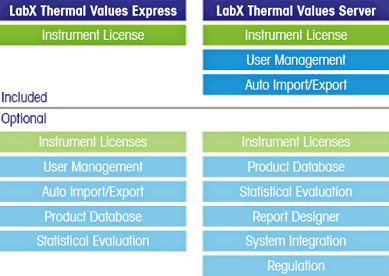 Up to three result tolerance levels can be defined in LabX, which automatically assess the measured melting point compared to the value of a reference substance. The respective results are clearly highlighted with color-coded tags and comments in the result overview.